Sharjah is among the 7 states that make up the Emirates, an erstwhile small fishing village; today it has evolved into a modern city. Dubai is a mega-polis, but Sharjah has emerged into a top-notch commercial city and a popular tourist destination. Being, the third largest city in the UAE and, it is heavily populated, and sits comfortably on the Arabian Peninsula, surrounded by the Arabian Sea on its East and West. Subsequently, Sharjah is a busy port, as well as popular water sports destination and the most famous desert safari Sharjah tour. The Arabian hospitality industry with its top-notch services and comfy accommodation, serves several thousands of visitors, to this part of the Gulf, in the most remarkable manner. Sharjah overflows with attractions as well as being one of the largest mosques in the UAE, its King Faisal mosque is also one of the most remarkable. A visit to the Al Nabooda House allows for a truly singular experience. Take a step back into history and marvel at the walls made of coral. This is the former residence of the Al Shamshi family who specialized in pearl trading and you can learn of the fascinating past of Emirate traditions. In addition to this, Sharjah's Natural History Museum is one of the finest in the UAE. Sharjah has some very vast red sand deserts and you might just take advantage of taking a desert safari. It has a number of companies offering memorable safaris that will drive you to authentic style campsites where you can enjoy barbecues. 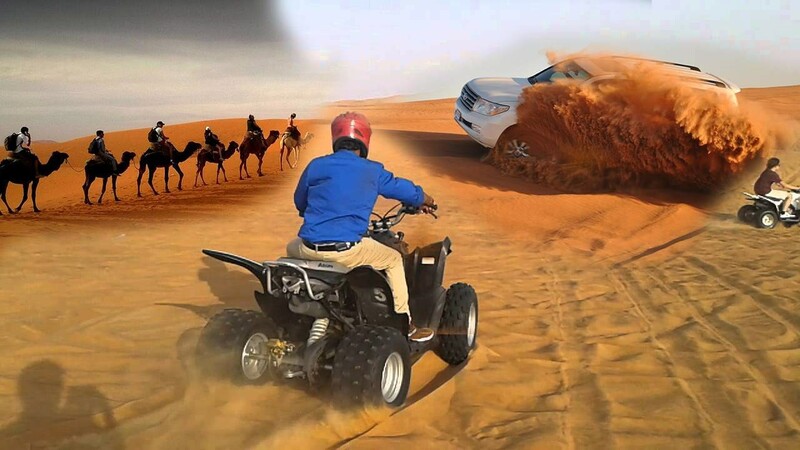 A desert safari drive also known as Dune Bashing is really for the adventurous kind and has simple pleasures that you will love to remember. If you have been dreaming to venture on a different escape, this desert safari experience is the best one for you. Safari in the morning, evening, overnight or just want to taste the authentic Arab dinner in the desert - your choice! Shout for joy or for a thrill when you ride for the Dune Bashing with professional 4x4 drivers of course. You can stop by and watch the gleaming sunset, enjoy the camel ride and be charmed by the belly dancers under the starlight. This is the Dubai experience you definitely wouldn't want to miss. If you're one for camping, the desert offers an endless campsite , Like sharjah's locals, book sharjah desert safari tour, throw your gear in, and head for the nearest set of dunes. Head off to the Dubai to Hatta road and nearby Lahbab desert is a good spot. After a couple of hours of leaving the city, you can set up camp amongst the sand dunes and get ready for a great evening barbeque beneath the vast starry desert sky. There are wadi beds and mountains to explore, and the next day can be spent on 4x4 journeys and playing dune sports such as sandboarding. There are companies which lead guided camping safaris, such as Dubai Adventures, Check there desert safari deals for getting discounts.